Michaela Wagland gives you some insight into what is happening all week for the Festival of Autonomy. Since 1965, The University of Newcastle has celebrated its autonomy from the University of New South Wales in tremendous ways. For 50 years, we have applauded UON’s uniqueness and innovation, creating a celebration that is a depiction of the pride we have for this university. Whilst this historical move for independence has too often become synonymous with the infamous ‘Autonomy Party’, it is essential to remember that celebrations of autonomy are held throughout an entire week. So without further ado, here is everything you need to know about the Festival of Autonomy 2016. Calling all students who appreciate free events. You will be enabled to view the history of UON through unique images as part of an exhibition held in the Auchmuty Library. The University of Newcastle Cultural Collections has created a wonderful Autonomy Archives exhibition that showcases UON from its modest beginnings to the first ever Autonomy Day that started it all. What better way to celebrate how awesome UON truly is with live performances bought to you by some of our own. Swing by the Auchmuty Courtyard from 12pm to experience some fantastic music from talented UON students. It’s free and they’re performing in the back of a truck. Who can say no to that? Tuesday 2nd – Thursday 4th, 12:15pm and 6:30pm. It’s free, but that isn’t the only reason you should attend. From Tuesday through to Thursday, you are invited to witness the extraordinary talent of UON students through a live theatre show held in The Brennan Room. Uni Revue showcases pieces written and performed by students including comedy sketches and song performances all intertwined with a touch of satirical observations of the world we live in. This original student production entitled “The Other Leg” promises not to disappoint. Grab your best dancing boots and that outfit that makes you look like you stepped out of the Outback, it’s time for some good old fashion Aussie folk dancing. Bought to you by St Crispin’s (The University of Newcastle Medieval Society) and FEAST, head to Bar on the Hill from 6:30pm for an evening of bush dancing entertainment. Its free so get boot scootin’ baby. Check out the Festival of Autonomy Bush Dance for more details. What are two words that are guaranteed to gain the attention of university students? Free Lunch! From 12pm, grab you free sausage or veggie paddy from the Auchmuty Courtyard. From 12pm, Auchmuty Courtyard. Treat your ears with some swell tunes while grabbing that free lunch. This incredible child solider turned lawyer is the prestigious guest speaker attending UON as part of UON Student Living ResTalks series. Open to both on and off campus students, this free event will be held in the Griffith Duncan Theatre at 7pm and tickets available from ticketebo.com.au/restalks. 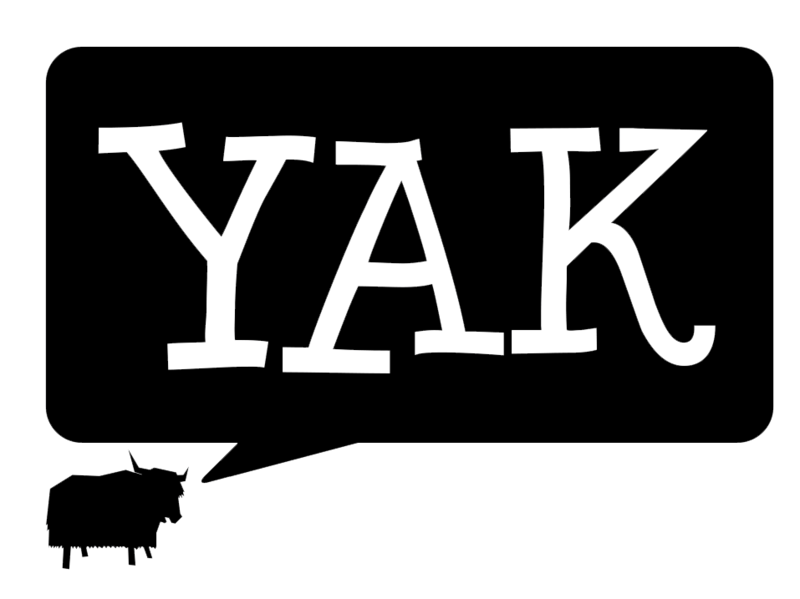 Take a look out fellow YAK Bridie O’Shea’s article for more insight into this unique event. 12:15 or 6:30pm in the Brennan Room! Don’t forget! Same time (12pm) but different locations! Live music from UON students available to you from the Bar on the Hill Lawn or Derkenne Courtyard. Same time, same place. Don’t miss it! What a way to wrap up the week! Gates open at 7am with a free breakfast waiting for you! Remember to have your student card, ID and $10 with you for entry! The activities are endless, with an abundance of music for your enjoyment. Catch local and student acts, bands and djs. Enter the realm of the silent disco and dance like no one is watching. This party concludes at 4pm, so have the greatest day but most importantly, take care of yourselves. With two pass-outs at your disposal, perhaps use one to witness to the grand tradition of The Auchmuty 500 Billy Cart races. Held from 9:30 at the Aviation Car Park, watch homemade billy carts and their pit-crews battle it out for the ultimate prize. The trophy! Have the need for speed? Check out all the details and rules on the Auchmuty `500 Facebook page. For those wanting to drive, you will be breathalysed. This is also a free event! If at any point throughout the day you need a small getaway from the atmosphere within Bar on the Hill, head over to Oval 4. From 9am there will be inflatables, market stalls, food and drink, intertwined with live performances. As an alcohol-free zone, this is the ideal place for a nap on the grass to relax and recuperate. So there you have it. The fantastic week ahead and all that is available to you. This historical week for UON is one of great celebration, so show your pride and be involved in as much as you can. While Friday may seem like Christmas to some, try to remember all the other awesome events occurring throughout the entire Festival of Autonomy. Keep an eye on the Festival of Autonomy Facebook page for all the details. We sincerely wish you the greatest of weeks as we celebrate this exceptional University of ours. Celebrating only the best since 1965. Feature Image: Reza Rostampisheh, Unsplash, no changes made.